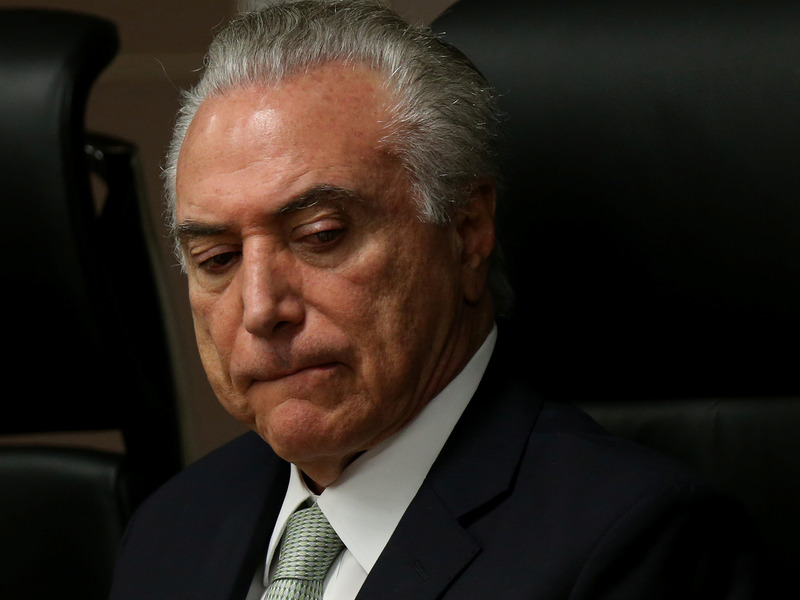 Brazil’s markets are getting slammed amid another emerging political scandal. Shares of the ETF that tracks Brazilian stocks is down by about 16.6% in pre-market trade on Thursday. The Brazilian real is down by 7.1% at 3.3598 per US dollar as of 9:06 a.m. ET. Brazilian newspaper O Globo reported late Wednesday that a recording exists of President Michel Temer approving a payment to jailed former house speaker Eduardo Cunha to remain silent in the country’s biggest-ever graft investigation. Temer’s office released a statement denying the allegations.